Their respective children’s names and birth dates are recorded. 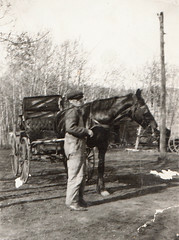 Allen Vance was born in 1879 at Molesworth, Ontario; moved to Spy Hill, Sask. in April 1900. 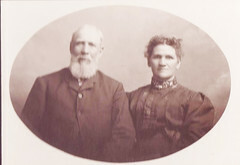 Married Emily Turner in 1907. Baptized Jan 9, 1896. Brother Vance was killed Nov 16, 1921 by his threshing outfit being thrown over from some unknown cause, and he was caught under the engine, causing instant death. His mother, wife, and six children are left to mourn. Funeral from Methodist church, sermon by W.B. Richards. Sarah Jane Savage, sister to Samuel Vance, was struck by a locomotive while crossing the track in a buggy and killed instantly. The afternoon train from Kincardine (Ontario) was half an hour late last Friday. An old lady, Mrs Sarah Jane Savage, who was crossing the track in a buggy, was struck by the engine and almost instantly killed. The horse, however, surviving. An inquest is being held. The one from Dec 31, 1898: Received from Mrs Samuel Vance of Arthur, Ontario, the sum of five dollars as tithing for use and benefit of the Reorganized Church of Jesus Christ of Latter Day Saints. The one from October 9, 1898, almost identical, is for $1. This entry was posted in Allen Vance Sr, Turner Family, Vance Family and tagged accidents, Allen Vance, family tree, genealogy, history, Latter Day Saints, Ontario, random, religion, Sarah Jane savage. Bookmark the permalink. 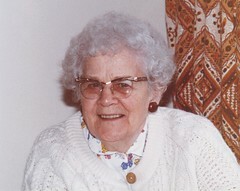 Sarah Savage – sister of Sam Vance killed while crossing a train track in a buggy. Interesting clipping: “The afternoon train from Kincardine (Ontario) was half an hour late last Friday.” It is reading that this is an explanation why the train is late, rather than an item about the death of a lady. Are they saying that if this death hadn’t happened, then the train would have been on time? Fortunately, the horse survived. 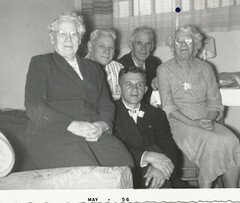 Allen Vance – his funeral service was in a Methodist church. I assume that there was no Re-organized Latter Day Saints Church built at that time and that church services were held in people’s homes. I never thought of it from that angle. Seeing it was in her name, and if she donated $1 in October and $5 at the end of the year, this might also have come from her milk, egg, produce, &/or craft sales. Farm wives often got to keep that while the men kept what came from their labour.